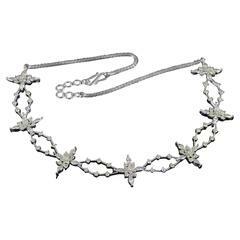 Clear acrylic and gold leaf bead necklace with leather cord from Monies. Polyester pebble necklace in pink, orange, and black from Monies Denmark. 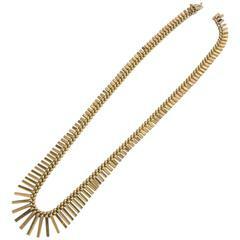 Elegant necklace entirely hand carved made in wood and covered in a gold leaf finish. 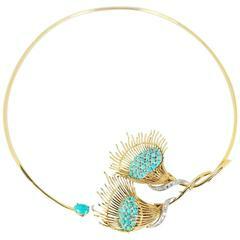 Solid 18K gold turquoise and diamond choker necklace. Beautifully crafted.